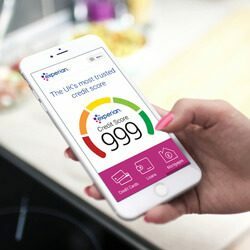 Experian is known to be the UK’s most trusted credit score provider*. Your score is a number from 0-999 that’s based on the information in your Experian Credit Report. The higher your score, the greater your chance of getting the best credit deals. *‘Most trusted’ based on 57% of 1086 respondents. ICM Unlimited survey June 2018’. Getting approved for credit (such as a mortgage, loan or credit card) isn’t guaranteed, and having your application rejected could delay your plans. But you can raise your chances of approval by increasing your credit score. The Experian Credit Score gives you an idea of how lenders may view you. It reflects your credit history, which companies look at to help them decide if you’re a reliable borrower. You can check your score for free – the higher it is, the better your chances of borrowing money at the best rates. It’s based on your financial behaviour, so you have the power to change it. Buying your first home is an exciting life step and you want to ensure you are in the best position to be qualified for a mortgage. Lenders look at several factors including, your salary, debt and savings when considering your application. Your credit score could be one of the most important factors in determining whether your application is approved or rejected. Make sure you don’t let anything stand in the way of getting your dream home. So, if you’re looking to buy a new place, our friends at Experian are helping you get ahead of the game by offering you your Experian Credit Score free, forever!